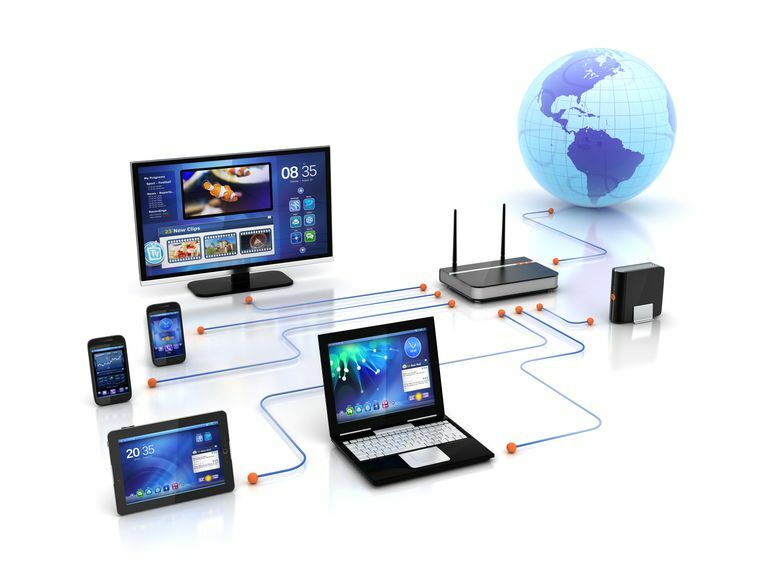 Methods for checking network connection speed differ somewhat between local area networks and wide area networks like the internet. Checking the connection speed of a computer network requires running some kind of speed test and interpreting the results. A speed test measures the performance of a network during a short period of time. The tests normally send and receive data over the network and calculate performance according to the amount of data transferred and how much time was required to complete the transfer. The most common measurement for network speed is data rate, counted as the number of computer bits that travel over the connection in one second. Modern computer networks support data rates of thousands, millions, or billions of bits per second. Speed tests also often include a separate measurement for network delay, sometimes called ping time. What's considered "good" or "good enough" network speed depends on how the network is being used. For example, playing online computer games requires the network to support relatively low ping times and the data rate is often a secondary concern. Watching high-definition video, on the other hand, requires support for high data rates, and network delays are less of a problem. When you're hooked up to a wired network, it's normal for the device to report a standard connection data rate like 1 billion bits per second (1000 Mbps). Likewise, wireless networks may report standard rates like 54 Mbps or 150 Mbps. These values represent maximum upper limits on speed according to the network technology being used; they are not the result of actual connection speed tests. Because actual network speeds tend to be much lower than their rated upper limits, running speed tests is essential to measuring actual network performance. Websites that host online speed tests are commonly used to check internet connections. These tests are run from inside a standard web browser on the client device and measure the network performance between that device and certain internet servers. A typical speed test run lasts about one minute and generates a report at the end showing both data rate and ping time measurements. Although these services are designed to reflect the performance of an internet connection generally, they measure connections with only very few web servers, and internet performance can vary greatly when you visit different sites in different geographic areas. Utility programs named ping are the most basic speed tests for local networks. Desktop and laptop computers include small versions of these programs, which calculate the network delay between the computer and another target device on the network. Most ping programs are run by typing command lines that specify the target device either by name or IP address, but you can also install free ping tools for network troubleshooting that offer more features or sport a graphical interface.